The digital pet project is a curricular sequence that extend a full semester or year depending on how deep the students dive into the various aspects. It starts with a foundation of physical computing projects using only the bit:booster with micro:bit. From there students extend with advanced projects in computing, robotics/mechanical engineering and digital design. The culmination project follows the design thinking framework and has students explore the world of therapy robots and design their own solution. The digital design extension focuses on using digital design and fabrication tools to build upon the digital pet. This module would require access to digital manufacturing tools such as laser cutters or 3d printers. Students use the bit:booster as their canvas for their digital designs. Ideas can be as simple as components that snap onto the board (similar to a Mr. Potato Head) or more complex enclosures and linkages. This module has students exploring how adding motors can extend the functionality of their pet. 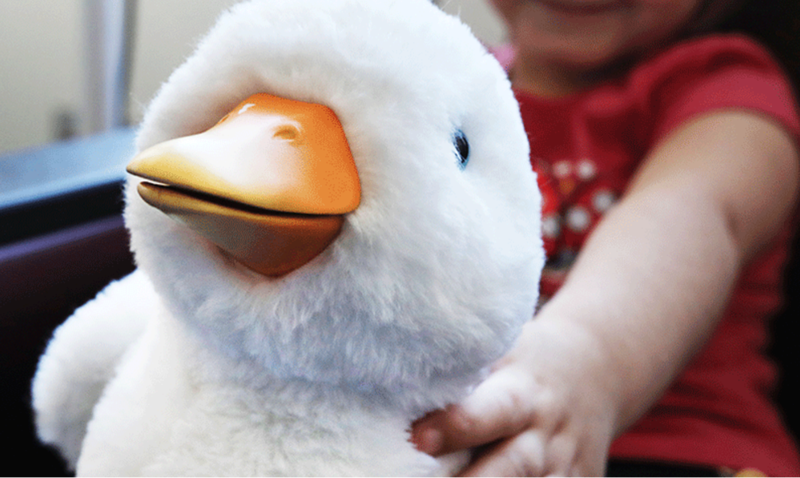 This module is similar to the Robot Petting Zoo project developed by the TechHive at the Laurence Hall of Science. In this extension, students can use Lego motors, hobby motors and servo motors as available. If combined with module 2.1, they can create their own linkages and housing for the motors to enhance their robots. In the first module students were introduced to basic concepts of inputs and outputs. In this module students explore more advanced conditional events and storing variables. The students will learn about the Tamagotchi pets and then define the required “care and feeding” of their own pet. After building a strong foundation of core skills through the previous two modules, students explore a design challenge around therapy robots. Students are encouraged to research the various ways therapy robots are used. Therapy robots are used to help reduce stress, increase cognitive function, train youth and future pet owners in animal care. For example, in Benchmark Senior Living at Plymouth Crossings, Massachusetts, electronic pets are used to help brighten the mood of elderly residents, while also stimulating cognitive function. The PARO robot even has FDA approval for use in dementia. Students can then choose an area of interest to their team and develop a therapy robot solution for a specific end user and challenge. They should be encouraged to focus on one specific behavior or need to address instead of addressing all the challenges of their user group.